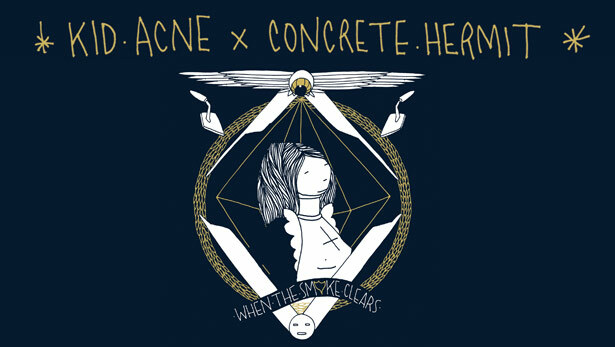 Kid Acne returns to London with a new show opening Thursday 11th November 2010 at the Concrete Hermit Gallery. This is Ackers first London solo show of 2010: ‘When The Smoke Clears’ will be a presentation of new works, as well as a new line of products, including T-Shirts, a sweatshirt, and an excpetional-quality screen prints. During the show, Acne will also be re-designing the window display at Concrete Hermit's Kingly Court shop space, where all his products will also be available, including his awesome Stabby Women zine.